This study examines the time-varying cointegration and causal relationship between stock market indices, economic policy uncertainties, changes in global oil price and variation in short-term interest rates in two countries such as Russia and China, the largest oil exporting and importing countries respectively. The empirical analysis is based on the Johanssen (1996) cointegration and VEC Granger and Morris’s (1976) causality test with the selected variables in view of monthly data over the period from 1996:01 to 2016:12. The outcome of the Johansen tests indicated the existence of a long-run relationship among variables both in China and Russia. In the short run, the Block Exogeneity Wald Tests have indicated the presence of unidirectional granger causality between variables in both countries. The study has taken into account the 1998 Russian crisis and the 2008/09 global financial crisis. Alam M. and Salah U.G. 2009. Relationship between Interest Rate and Stock Price: Empirical Evidence from Developed and Developing Countries; International Journal of Business and Management (ISSN 1833-3850), 4(3), 43-51. Antonakakis, N., Chatziantoniou, I. and Filis, G. 2013. Dynamic co-movements of stock market returns, implied volatility and policy uncertainty’; Economics Letters, 120(1), 87–92. Apergis, N. and Miller, S.M. 2009. Do structural oil-market shocks affect stock prices? ; Energy Economics, 31, 569-575. Baker S. R, Bloom, N., and Davis, S. J. 2013. Measuring economic policy uncertainty, Chicago Booth Research Paper, No. 13-02. Bloom, N., Bond, S., and Van Reenen, J. 2007. Uncertainty and investment dynamics; the review of economic studies, 74(2), 391-415. Bloom, N., 2009. The Impact of Uncertainty Shocks; Journal of Econometrica, 77(3), 623-685. Brogaard, J. and Detzel, A., 2012. The Asset Pricing Implications of Government Economic Policy Uncertainty; Working Paper Foster School of Business, University of Washington. Granger, C. W. J., 1969. Investigating Causal Relations by Econometric Models and Cross-spectral Methods. Econometrica, 37(3), 424-438. Chang T., Chen W., Gupta R., and Nguyen D. 2015. Are stock prices related to the political uncertainty index in OECD countries? Evidence from the bootstrap panel causality test; Journal of Economic Systems, 39(2), 288–300. Brooks, C., 2008. Introductory Econometrics for Finance; 2nd edition. Cambridge University Press, New York. Dickey D. A. and Fuller W.A. 1979. Distribution of the estimators for autoregressive time series with a unit root. Journal of American Statistics Association, 74(366), 427-431. Teker, D. L., and Alp, E. A., 2014. Granger Causality Relation between Interest Rates and Stock Markets: Evidence from Emerging Markets; European Journal of Business and Social Sciences, 2(10), 63-73. Elder, J. and Serletis A. 2010. Oil price uncertainty. Journal of Money, Credit and Banking, 42 (6), 1137-1159. Goodness C. Aye, 2015. Does oil price uncertainty matter for stock returns in South Africa? ; Investment Management and Financial Innovations, 12(1), 179-188. Granger C. W. J. and Morris M. J., 1976. Time Series Modeling and Interpretation. Journal of Royal Statistics Society A, 139, 246-57. Gulko, L. 2002. Decoupling; The Journal of Portfolio Management, 28(3), 59-66. Hamilton, J.D. 2009. Causes and consequences of the oil shock of 2007-08; Brookings Papers on Economic Activity, Spring, 215-261. Johansen, S. and Juselius, K., 1990. Maximum Likelihood Estimation and Inference on Cointegration–with Applications to the Demand for Money; Oxford Bulletin of Economics and Statistics, 52(2), 169–210. Johansen, S. 1991. Estimation and Hypothesis Testing of Cointegration Vectors in Gaussian Vector Autoregressive Models; Journal of Econometrica, 55, 1551-80. Johansen S. 1995. Likelihood-Based Inference in Co-integrated Vector Autoregressive Models (New York: Oxford University Press). Johansen S. 1996. Likelihood-based Inference in Co-integrated Vector Autoregressive Models. Oxford University Press, Oxford. Jones, M.C. and Kaul, G. 1996. Oil and stock markets. Journal of Finance, 51, 463-491. Jurado K., Ludvigson S. C., and Ng, S. 2013. Measuring Uncertainty, NBER Working Paper 19456. Kang W. and Ratti, R.A. 2013. Oil shocks, policy uncertainty and stock market return; Intentional Financial Markets, Institutions and Money, 26, 305– 318. Kilian, L. 2009. Not all oil price shocks are alike: disentangling demand and supply shocks in the crude oil market; American Economic Review, 99, 1053-1069. Kilian, L. and Park, C., 2009. The Impact of Oil Price Shocks on the U.S. Stock Market; International Economic Review, 5(4), 1267-1287. Kling, J.L. 1985. Oil price shocks and stock-market behavior; Journal of Portfolio Management, 12, 34–39. Masih, R., Peters, S. and De Mello, L. 2011. Oil price volatility and stock price fluctuations in an emerging market: evidence from South Korea, Energy Economics, 33 (5), 975-986. Miller, J.I. and R.A. Ratti, 2009. Crude oil and stock markets: Stability, instability, and bubbles; Energy Economics, 31, 559-568. J. Penm, O'Neil, T.J., and R.D. Terrell, 2008. The role of higher oil prices: A case of major developed countries, in Andrew H. Chen (ed.) Research in Finance (Research in Finance, Volume 24) Emerald Group Publishing Limited, 287 – 299. Park, J. and Ratti, R.A., 2008. Oil prices and stock markets in the U.S. and 13 European countries; Energy Economics, 30, 2587-2608. Pastor L. and Veronesi P. 2012. Uncertainty about government policy and stock prices; Journal of Finance 67, 1219-1264. Peersman, G. and Van Robays I., 2012. Cross-country differences in the effects of oil shocks; Energy Economics, 34, 1532–1547. Serletis A, and Rahman, S., 2011. The asymmetric effects of oil price shocks; Macroeconomic Dynamics, 15, 437-471. Sadorsky, P. 1999. Oil price shocks and stock market activity; Energy Economics, 21, 449-469. Subarna, S. K. and Zadeh, A. H. 2012. Co-movements of oil, gold, the US dollar, and stocks. Modern Economy, 3(01), 111-117. Sum, V. 2012. Economic Policy Uncertainty and Stock Market Returns. 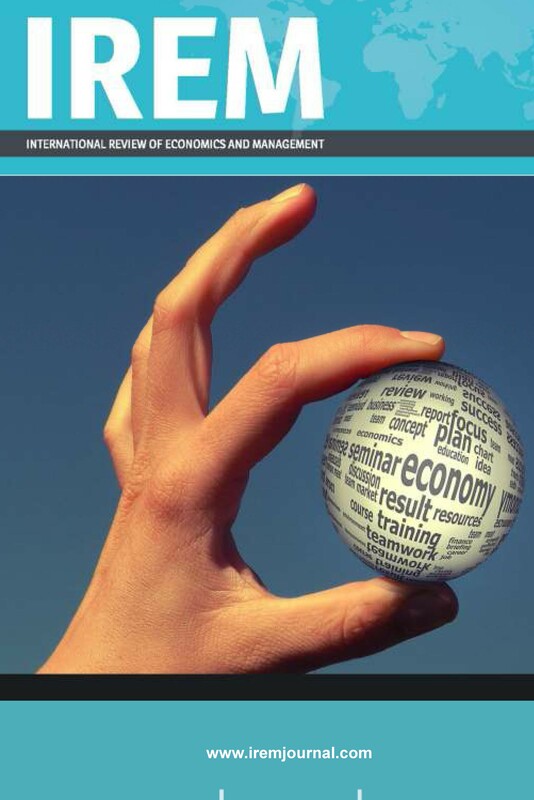 International Review of Applied Financial Issues and Economics, Forthcoming. Available at SSRN: https://ssrn.com/abstract=2073184 or http://dx.doi.org/10.2139/ssrn.2073184 Swanepoel, J.A. 2006. The impact of external shocks on South African inflation at different price stages; Journal for Studies in Economics and Econometrics, 30 (1), 1-22. Yoon, K.H. and Ratti, R.A., 2011. Energy price uncertainty, energy intensity and firm investment; Energy Economics, 33, 67-78.